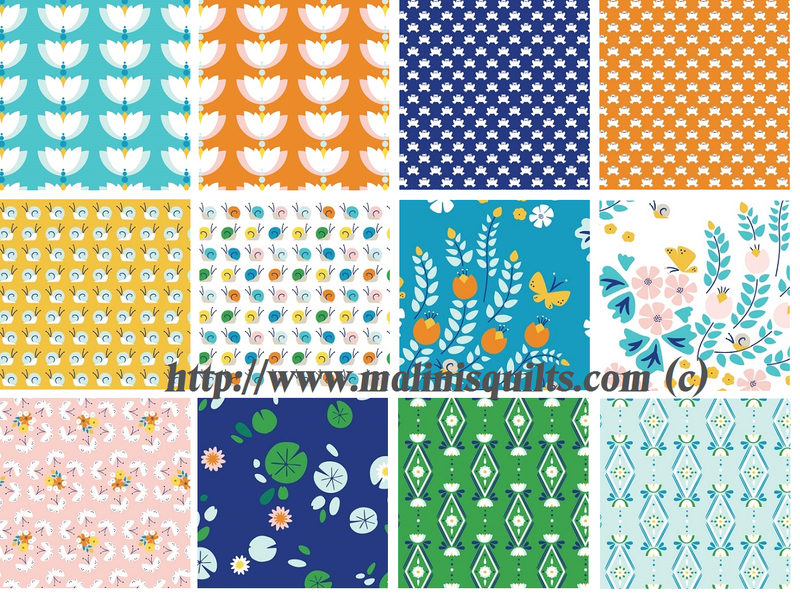 I have been thinking of ordering some new fabrics and would love your input. I love these two fabric collections, Lotus Pond from Cloud9Fabrics and Indelible from Art Gallery Fabrics. Wow, this is a really tough one. So many good fabric collections. My current favorite is "Indelible" by Katarina Roccelle . Not sure if everyone else like this collection as much as I do. The colors are just vibrant and you can't go wrong with art gallery fabrics. I have seen the quilts/pillows made of this collection and they look fabulous. What are you other favorites from Art Gallery Fabrics? Over the past 3 years I have accumulated lots of fabric and I need to de-stash some to make room for new fabrics. This is really hard for me since, I don't think I have any fabrics in my stash which I don't like. 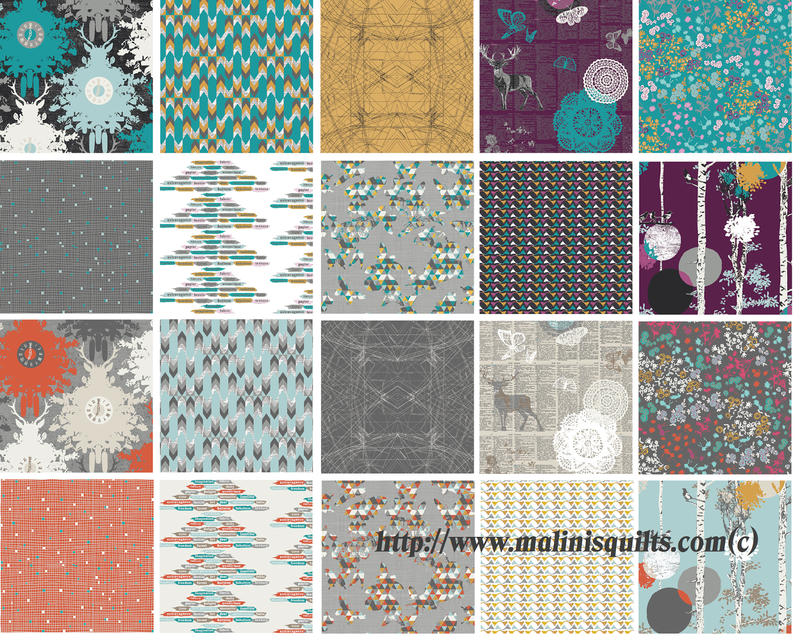 Actually, I kind of have a pattern or an idea for quilt for all of them ;). This is what I do full time ....lol. I think the "Fire Drill" quilt pattern from Modern Patchwork book by Elizabeth Hartman would look great with these fabrics. On a different note, did you check out "Sew Mama Sew" blog yesterday, "Quilt Trends With Debbie"? My Color Splash quilt was listed in the "Slice and Insert" technique. That was cool :). What fabrics are you dreaming of for this summer projects? There's a few prints I'd order from both. Especially the frogs from Lotus Pond, and the dark grey prints from Indeliable. And that coral print. And Congratulations!!!! That's awesome news! Now that I've put all my fabric out on shelves it feels like I live in a fabric store... can't wait to pick out something bright and cheerful for summer but I'm going to have to destash a bit myself to get everything to fit:-) Awesome to see you over on Sew Mama Sew, such a fun quilt!!! I love the Indelible Collection!